Tiernan supports Avalere clients in analytic and strategic engagements focused on Medicaid, Medicare, and other health policy trends. In particular, Tiernan leads a variety of projects focused on the Medicaid market, including landscape analyses, contracting strategies, and state tracking. Her work aims to help clients understand the impact of states’ Medicaid policy decisions on access to products and services—and to strategize solutions to improve beneficiaries’ access. Prior to joining Avalere, Tiernan worked as a health educator at the Delta Area Health Education Center in Helena, AR. Additionally, she analyzed the Chilean public healthcare system while studying in Concepción, Chile. Tiernan has a BA in Neuroscience from Middlebury College. Megan supports clients in anticipating and navigating the evolving federal and state health policy environment. In particular, she advises clients on their business and advocacy strategies related to legislative and regulatory developments. Megan has specific expertise in Medicaid, drug pricing policy, and health insurance markets and she leads to the firm’s analysis of Medicaid managed care trends. Prior to joining Avalere, Megan held policy roles at Novo Nordisk and Avalere Health, and worked with the New York State Department of Labor in the Research and Statistics Division. Megan has an MPH in Health Policy from George Washington University’s Milken Institute School of Public Health and BA in Economics and Psychology from Saint Michael’s College. Technology has advanced the practice of dentistry tremendously over the last 30 years. Yet when it comes to the administration of dental benefits that enables claims to be reimbursed for this groundbreaking care, much of the industry seems to be stuck in the 1980s. Heather Kane is the CEO of Dental at UnitedHealthcare, based in the company’s Chicago office. Her organization is responsible for the development and management of all dental products and services across the company’s Commercial, Medicare and Medicaid business segments. Heather has a passion for identifying and developing innovative solutions to continuously improve the health care segment, growing start-up businesses, and mentoring new leaders across the organization. She is active in non-profit and healthcare-related organizations. She is currently a board member and committee chair of the Gateway for Cancer Research, a non-profit organization dedicated to funding innovative, patient-centered advancements in cancer treatment. Heather earned a Bachelor of Arts degree from Hillsdale College and an MBA from the University of Michigan. John Schaak and his team are responsible for driving growth, operational performance, and customer satisfaction across SKYGEN USA’s suite of solutions. He leads efforts to improve effectiveness and efficiencies in the company’s benefits administration solutions, advance business services including client implementations, and increase customer responsiveness, making it easier for clients to do business with SKYGEN USA as their strategic solutions partner. John is an experienced speaker who, among other things, takes every opportunity to speak about the need to protect children from pediatric dental abuse. He has been listed on the Wisconsin Super Lawyers, Rising Stars list multiple times, and holds a Juris Doctorate from Marquette University Law School. He earned a Bachelor of Science Degree in Political Science and Criminal Justice with a minor in Sociology from the University of Wisconsin Oshkosh. Marcel Tetzlaff leads SKYGEN USA’s continuing commitment to helping its clients provide superior program stewardship. He and his team are responsible for developing and executing the company’s Enhanced Benefit Management program that is designed to ensure delivery of the most appropriate and efficient care possible. 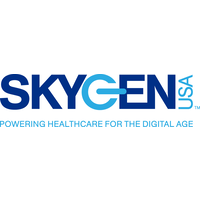 By leveraging SKYGEN USA’s technology, along with its clinical, analytical and administrative expertise, the appropriate intervention can be initiated to achieve optimum performance, including recognizing and rewarding high performing providers. Marcel has more than 20 years of experience in managing government and commercial medical and dental plans. During that time he has implemented best practices for Medicare Advantage programs and developed workflows, reports, education, training, and documentation for the Medicare Shared Savings Program (MSSP), Risk Adjustment Factor (RAF), Health Effectiveness Data Information Set (HEDIS), and other quality and efficiency measures. Marcel earned his MBA at the University of Wisconsin-Milwaukee with a major in healthcare management. He also holds a Bachelor of Business Administration Degree from the University of Wisconsin-Whitewater. Shirley Spater, DMD, MPH, FADPD, DABSCD is a Board-certified dentist whose hands-on experience as a clinician, clinical manager, and educator brings a unique perspective to SKYGEN USA’s benefit management programs. She also continues to serve as clinical dental director at Bedford HealthCare Solutions in the New York City area, which helps her advise the company on the challenges facing dental providers in the digital age and how SKYGEN USA’s technology-enabled and benefit management solutions will be received on the front lines of care. Dr. Spater has received numerous honors and awards in a career that spans more than 20 years, including the Maxwell J. Schleifer Distinguished Service Award; Head Start Oral Health Honor Roll; and multiple Fellowships and Community Service Awards. She holds a Master’s of Public Health from the University of North Carolina at Chapel Hill, Gillings School of Global Public Health, and received her Doctor of Medicine in Dentistry from the Farleigh Dickenson University College of Dental Medicine. She also earned a Bachelor of Science, Biology from Farleigh. Julie Gau is an accomplished professional who is focused on helping SKYGEN USA optimize the user experience for payers, providers, and health plan members. She is also a proven leader who has managed teams across a variety of initiatives in the healthcare, financial services, and travel industries. Her expertise in eCommerce is particularly valuable in helping SKYGEN USA ensure the usability of its provider and member portals as well as guiding the continued adoption of digital solutions. Kyle Koltz is an experienced leader who holds direct responsibility for the efficiency of SKYGEN USA’s benefit administration operations, including P&L for the company’s government and commercial dental and vision lines of business. He is charged with developing strategies to bring payers into the digital age, as well as the planning, budgeting, client relationship development, and operational/quality improvements to bring those strategies to fruition. Kyle’s career spans more than 30 years, much of it on the health payer side where he led major initiatives in IT as well as operational excellence. While he is recognized as a strategic thinker, Kyle is not afraid to roll up his sleeves and do what needs to be done to accomplish organizational goals. He holds a Bachelor’s of Business Administration from the University of Wisconsin-Whitewater. In this webinar, Dr. Elsbeth Kalenderian will describe the current status of dental diagnostic terminologies, why documenting dental diagnoses in a standardized way is essential to building partnerships with our medical colleagues and improving quality care for our patients. During this webinar, three components to be considered before getting ready to implement a diagnostic terminology in any dental setting will be reviewed, as well as a demonstration of the current level of teaching in many of the dental schools with respect to dental diagnostic terminology in the electronic health records. In October of 2017, the National Association of Insurance Commissioners (NAIC) voted to adopt the Insurance Data Security Model Law (Cyber Model Law). The law, which establishes standards for data security and the investigation and notification of cybersecurity events in the insurance industry, will become effective as it’s adopted by individual states (South Carolina was the first state to do so). The Cyber Model Law requires all licensees regulated by U.S. state insurance departments to design and implement an information security program, commensurate with the size and complexity of the organization, that will protect against any threats or hazards to the security, integrity, or confidentiality of nonpublic information or systems to minimize the likelihood of harm to any consumer. Protiviti’s Adam Hamm will walk us through this important new model law, its similarities to New York’s cybersecurity regulations (Part 500), and its impacts to dental carriers. Adam is a managing director with a global consulting firm, Protiviti, which serves clients in financial services and other industries by providing advisory for risk, compliance, governance and cybersecurity matters. He has deep knowledge of financial services regulation with hands on experience in all insurance supervision and policy-related matters. Prior to joining Protiviti in January 2017, Hamm was the former President of the National Association of Insurance Commissioners (NAIC), Chairman of the NAIC’s Cybersecurity Task Force, Principal on the United States Financial Stability Oversight Council (FSOC), Principal on the United States Financial and Banking Information Infrastructure Committee (FBIIC), and North Dakota’s elected insurance commissioner from 2007-2016. Adam also spent ten years as a criminal prosecutor and civil litigator. The webinar will describe the current opioid epidemic in the United States, strategies to address the epidemic, data on prescribing practices, current clinical recommendations for opioid prescribing, and steps to address opioid use disorder. Vikram Krishnasamy, MD, MPH is a physician boarded in internal medicine and preventive medicine. He completed his internal medicine residency with a focus in global health and under-served populations at the University of Pittsburgh Medical Center and his preventive medicine fellowship at Johns Hopkins University. He also has completed CDC's Epidemic Intelligence Service fellowship where he focused on food-borne outbreak surveillance and response. He has since joined the Opioid Response Coordination Unit in CDC's National Center for Injury Prevention and Control where he works on strategies and programs to address the US opioid epidemic. In today’s rigorous, value-based healthcare climate, driving better health outcomes is critical to success. In fact, it is one of the pillars of the Quadruple Aim, along with lowering costs and improving member and provider satisfaction. Yet as important as oral health has been demonstrated to be in ensuring overall health, offering ancillary benefits such as dental has little effect unless our providers and members are fully engaged. But the buck does not stop there. For outcomes to become realized and full value to be delivered, the entire stakeholder continuum must be engaged and positioned for success – Employers, Payers, Providers and Members. Employers are seeking ways to keep employees and their families healthy so they remain productive as well as attract and keep top talent; payers are seeking innovations to drive efficiencies, reduce costs and engage their members; providers are looking to reduce administrative burden, and get paid quickly and accurately, so they can focus on delivering quality dental care to their patients; and patients are thirsty for ways to learn who the best dentists are so they attain good care and live healthier lives. Connect all stakeholders in the continuum – including payers, providers, employers, and members – to establish a stronger path for driving better oral health outcome.